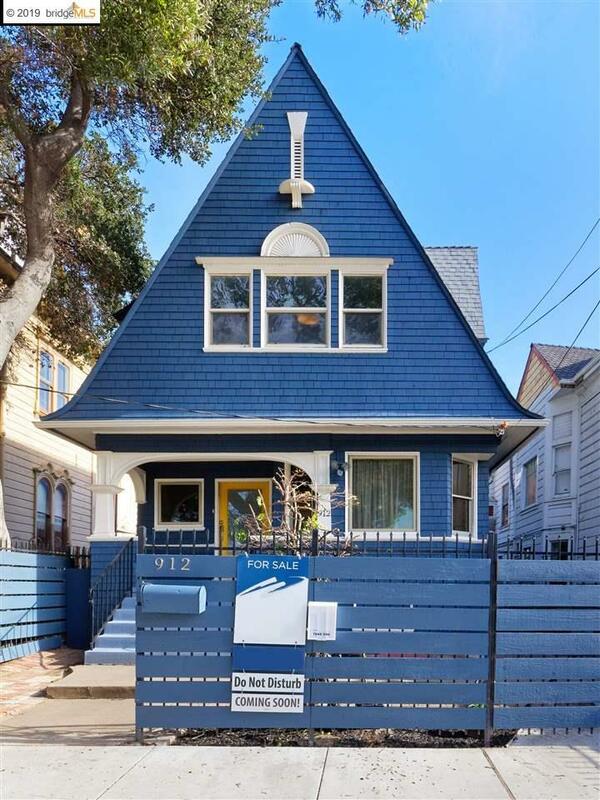 Welcome Home to this spacious West Oakland Victorian, offering all the charm and warmth you need. This 3 bedroom, 1.5 bath home features gorgeous coved ceilings on both levels, hardwood floors throughout, a formal dining with original built-ins and a bright front room with pocket doors that lead to an inviting and roomy living room with fireplace. The beautifully updated kitchen offers direct access to the fantastic and creative backyard, with plenty of room for play and entertainment. Upstairs features 3 generous bedrooms and a decorative bath with a claw foot tub! Don't miss the shed that is perfect for office space or just a quiet spot to enjoy a good book. This classic home also offers modern amenities such as solar panels and an electric car charger! Some work needed. Conveniently located just 3 blocks from BART and easy access to freeways, parks, cafes, Uptown and Downtown Oakland! Come check out this old beauty and fall in love! Open Sunday February 24th from 2-4 pm.